RUN! 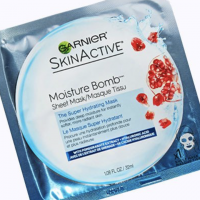 Hurry over to request FREE Garnier SkinActive Facial Sheet Mask! Simply go here, look out for the black “Get a Free Sheet Mask” box at the bottom, and fill out the short form to score this freebie. Note that you’ll automatically be added to their newsletter so make sure you unsubscribe after you get your sample. Let us know if you score one!